A 300 acre mixed family farm with sheep, Hereford beef, Glamrock pigs, arable, horses, hens, farm shop, B&B and camping field. The farm is part of Batsford Estate and was used as the location for “Nigel and Adam’s Farm Kitchen” filmed for BBC1 in 2013. And don’t forget to have a look at our cleaning re-fills while you’re shopping – you can bring your own containers or buy one of our re-usable ones. We appreciate any feedback on this new part of the business and welcome suggestions! 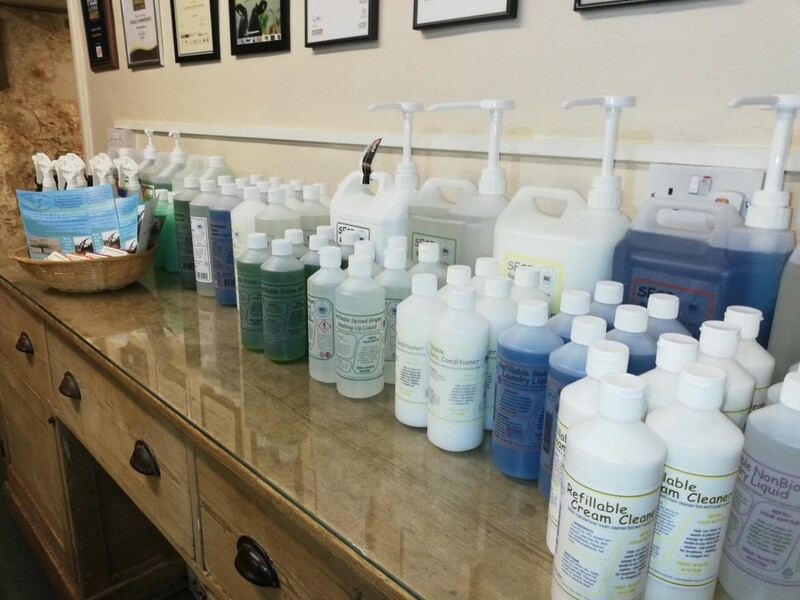 We have teamed up with SESI and Green My Business to offer a range of cleaning solutions including washing liquid and conditioner, hand wash, washing up liquid, bathroom and kitchen cleaner. SESI will collect and refill the bulk containers we use in the shop and GMB supply concentrated products meaning that 1 x 5 litre container can make 100 x 500ml trigger bottles and will only cost 30p to re-fill. Either bring in your own containers or try some of the 500ml and 1 litre bottles that we have in stock. It’s been a busy week in the Cutting Room, we’ve packed the gammons, sliced the bacon, made 3000 sausages, wrapped 500 pigs in blankets (thank you Sheila, Pam, Toby and Laura), collected the turkeys… I have a feeling that I’ve forgotten something important but we’ll have to wait and see! * Plain Pork, Gluten free, Rudolph’s Revenge (chilli), 3 Kings (cranberries, oranges, chestnut) , Santa’s Sausage (chestnut, apricot and chive), Breakfast Bangers (smoked bacon and mustard), Cumberland, Bonfire Bangers, Ginger and Spring Onion & Lemon and Fennel. 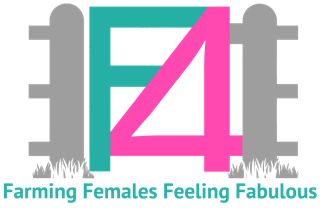 If you are looking for Christmas stocking fillers we still have some Farming Females Feeling Fabulous charity calendars available and you can’t go wrong with an Old Farm gift voucher! Sorry but Old Farm Shop will be closed on Show day. This year you will find us in the “Farmtastic” area next to the Rural Attractions ring (Zone E) with our alpacas, sheep and pigs. We will be serving food and drinks all day – look out for our flags. The Farming Females Feeling Fabulous are me (Sarah), Di Hunt, Katherine Righton and Jane Slatter. We are launching our 2019 charity calendar at the show raising money for FOCUS at the Gloucestershire Oncology Centre. Please support us and buy one – they’ll make great Christmas presents! After a quiet start to the year it’s all about to kick off! Official lambing start date is 15th March but we are having a few born now, just to ease us into it gently. 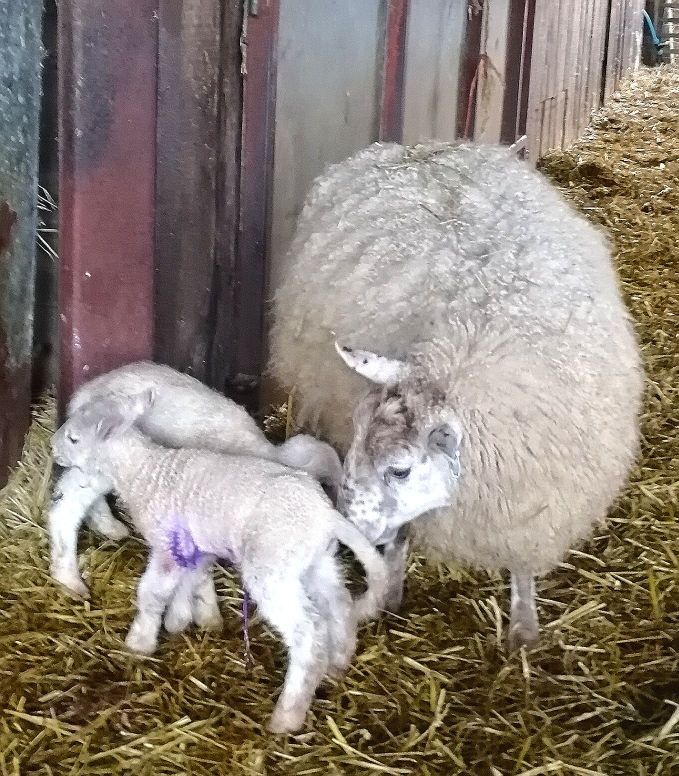 As always you are welcome to come and see the maternity unit (during shop open hours only and please don’t go into the lambing shed if you are pregnant). We are now taking orders for Christmas – poultry from Lower Clopton and Westmoor, all the rest from here. We finally finished combining on October 14th, not the latest on record but a close 2nd. This has meant that autumn planting was running a bit late but Simon and his dad have been working hard cultivating fields and drilling winter wheat and have just about caught up – there is just one field left to do. The tups are now in with the main flock and the cattle and pigs are still out seeing as it has finally dried up, they’ve been enjoying the sunshine over the last few days. The “Shearing Shed” (old shop) has had a busy summer and is still booked out at weekends, we have had some lovely comments from guests and feel that this was the right thing to do with the space. Having the shop back up by the house has made it easier to manage and I hope that the new opening times have not caused too much inconvenience – we are always happy to open up out of hours, just give us a call first to make sure we are here. We have plenty of frozen lamb, beef and pork and I have re-stocked the bargain freezer this week so why not pop in and pick up a good deal! Christmas order form out soon – watch this space!